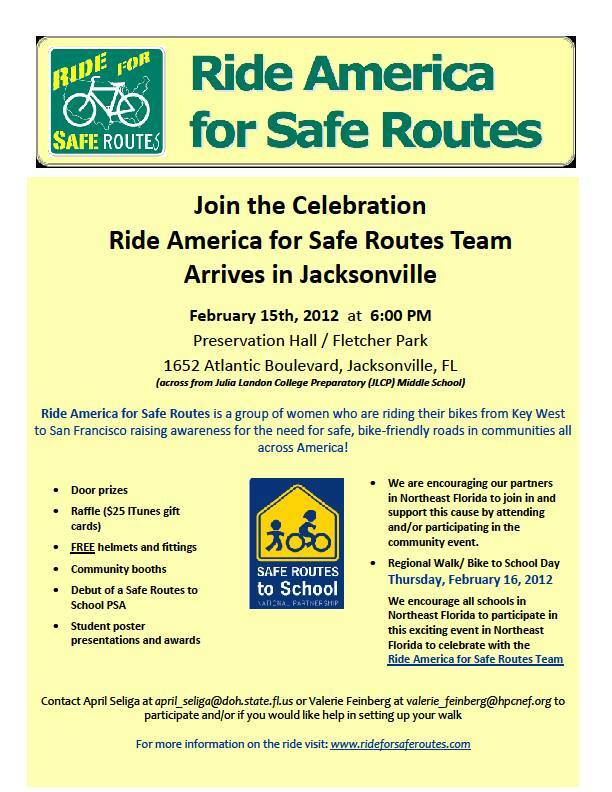 We are encouraging all schools in the Northeast Florida area to participate in this fun and very informative event. The JBC will have a booth with lots of neat kid and parent-geared information pieces, free safety gear to give away, and yummy cookies. So come on out and bring the kids! ← Don’t Art Walk. Art BIKE.